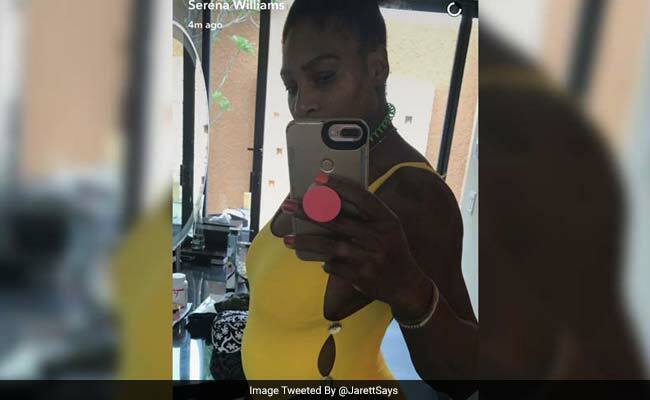 New Delhi: Serena Williams is not happy about the alleged racist comment about her unborn child by Romanian tennis player Ilie Nastase. In an Instagram post, she hit back at the 70-year-old for his remarks about the complexion of her baby. At a press conference with a member of Romanian Fed Cup team, Ilie Nastase was heard saying, "Let's see what colour it (the baby) has. Chocolate with milk?" The ace player made her displeasure clear in an Instagram post. She even quoted poet and civil rights activist Maya Angelou's poem "If I rise"
"It disappoints me to know we live in a society where people like Ilie Nastase can make such racist comments towards myself and unborn child, and sexist comments against my peers". "I have said it once and I'll say it again, this world has come so far but yet we have so much further to go. Yes, we have broken down so many barriers - however there are a plethora more to go," she wrote. Meanwhile, Ilie Nastase is being probed by the International Tennis Federation for his alleged remarks. Serena Williams also regained the No. 1 spot in the WTA rankings on Monday without having played a single tournament since Australian open. To celebrate the news, the player posted a photo on Instagram with an emotional message for her yet-to-be born child. She wrote, "from the world's oldest number one to the world's youngest number one". Last week, tennis player Serena Williams revealed to the world that she was expecting her first child. The news was cheered by all as she posted a photo of her baby bump on Snapchat. The photo was later deleted. What made it even better was when people realised that she won the Australian Open in January this year while 8 weeks pregnant. The player, who is engaged to Reddit co-founder Alexis Ohanian, will be on maternity leave for the rest of the season and will return to the court in 2018.